We arrived at Ovisume late in the afternoon but there was still time for an evening game drive. It was a beautiful, calm and very warm evening. 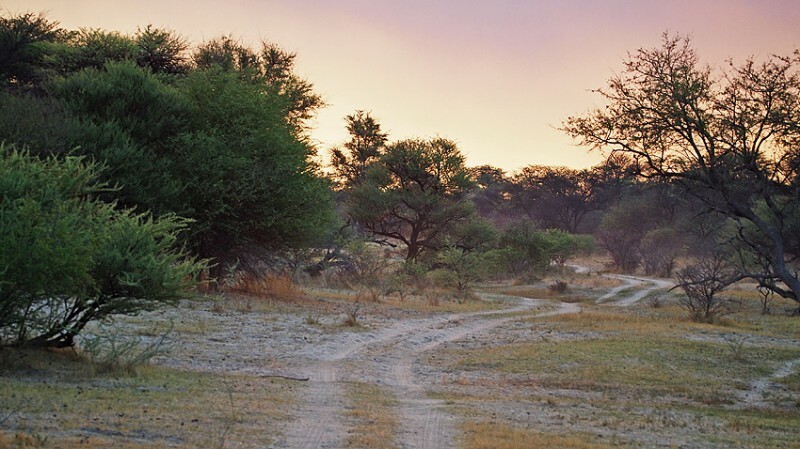 We soon saw our first game – a herd of “Black Wildebeest”. 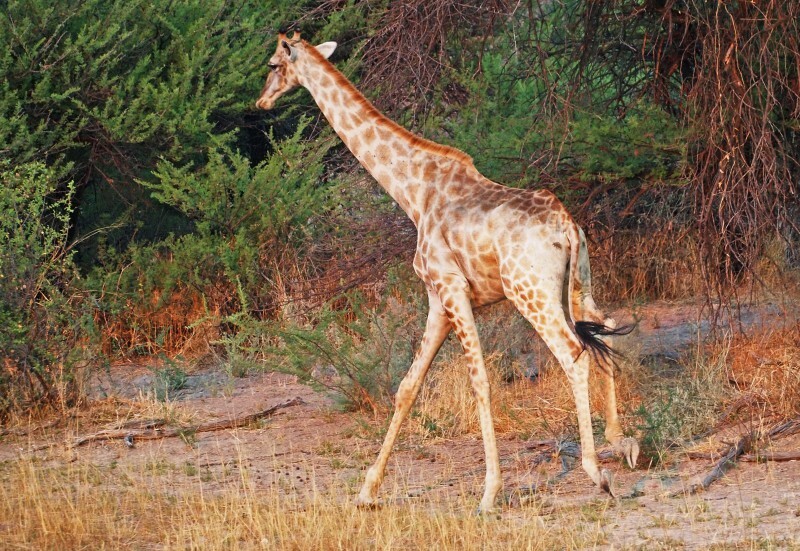 And then this beautiful Giraffe, jogging away. 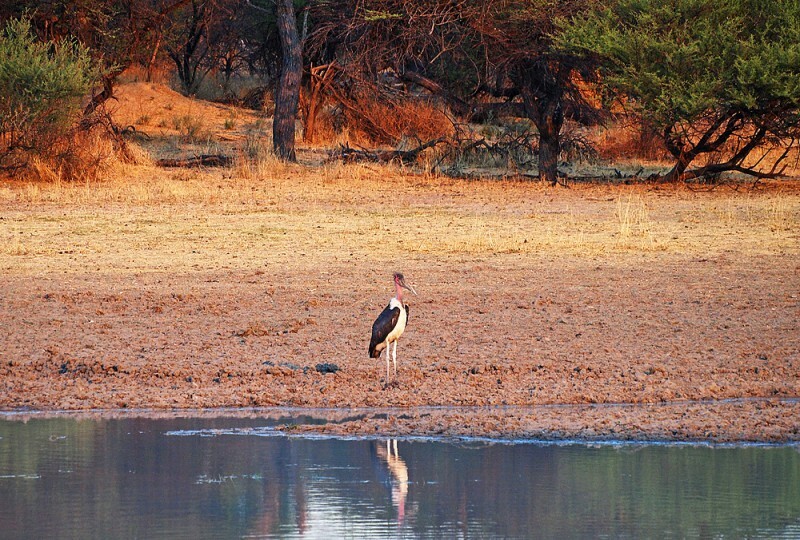 A Marabou stork at the water hole. Some kind of duck at the same place. 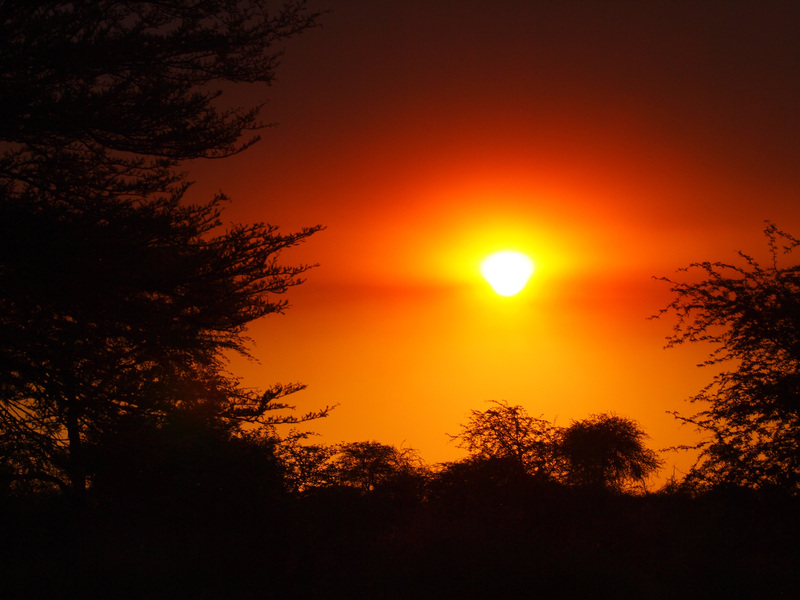 A bush fire somewhere gave smoke that colored the sun rays. It created a magic atmosphere. 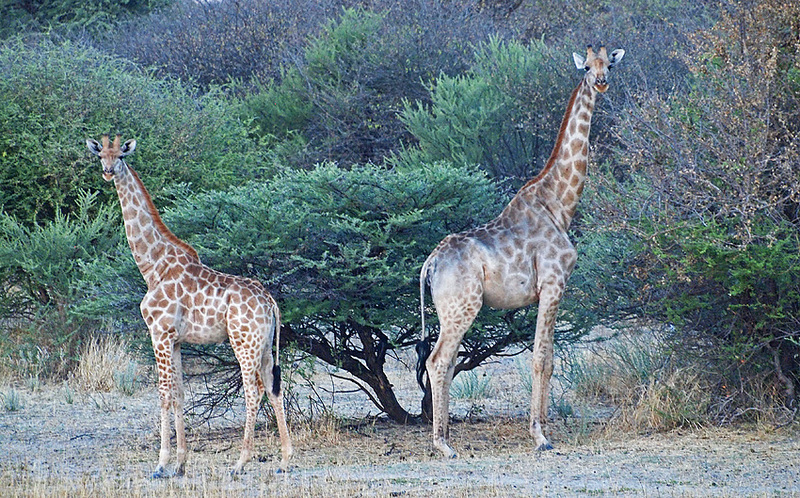 Two giraffes. I could almost here them ask if their pose was good enough for me. It was! …gave a special color to everything. 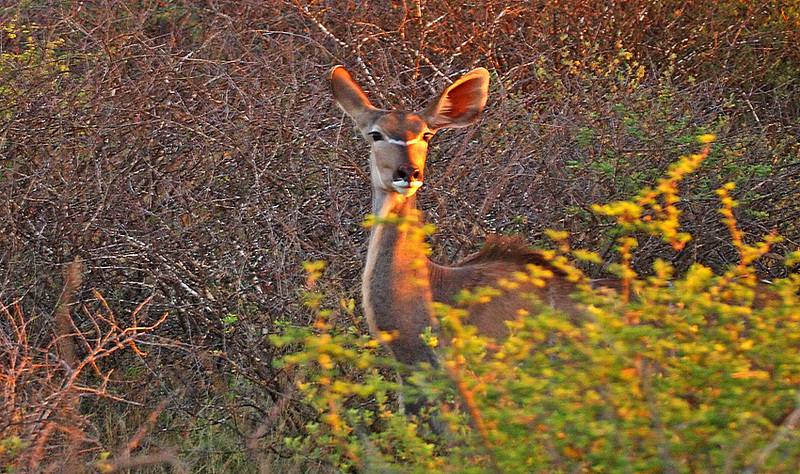 …even if this Kudu cow helped me by putting her pretty head in the sun light. 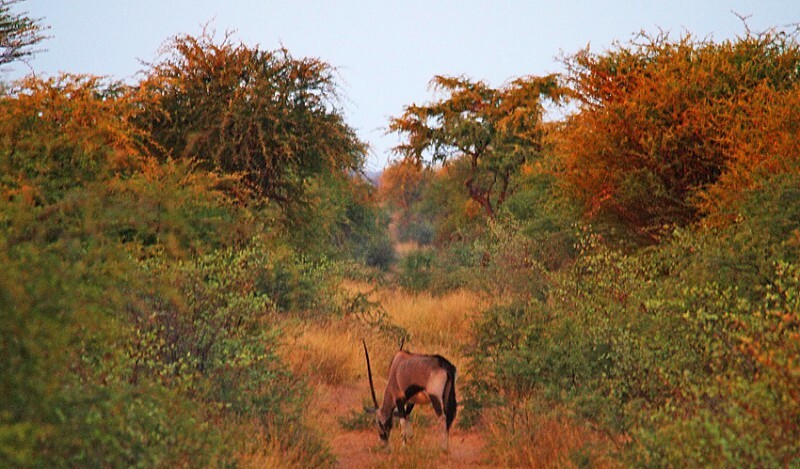 …or this Gemsbok. The noice of our car spoiled some of the magic but every now and again we turned the engine off and listened to the silence. 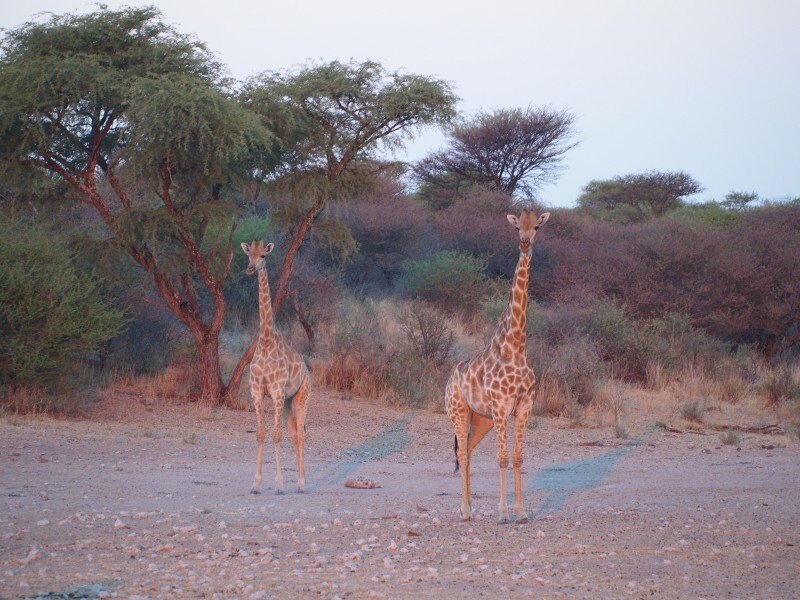 Even after the sun passed the horizon there were things to see. Above a few Springboks and a Water Buck.